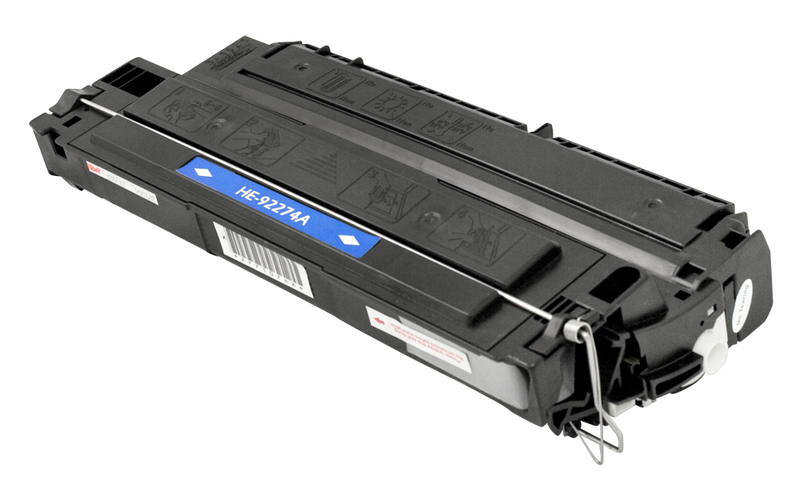 HP 92274A Premium Quality Remanufactured Black Toner Cartridge designed to work in the LaserJet 4L/ 4P Series printers. Also fits some Apple and Canon printers. Canon BC-02 Premium Quality Compatible Black Inkjet Cartridge designed to work in the BJC 323/ 400/ 410/ 420/ 430, BJ 5/ 10/ 15/ 20/ 100/ 200/ 210/ 220/ 230, MultiPass C20/ C30/ C50/ C70/ C80/ C530/ C545/ C555/ C560/ C635 C2500/ C3000/ C3500 C5000/ C5500 and others. Also fits some Apple, Brother, Calcomp, Gestetner, IBM, Konica Minolta, Panasonic, Ricoh, Sanyo, Savin, Selex, Siemens, Star, and many other printers. Canon BC-05 Premium Quality Compatible Tri-Color Inkjet Cartridge designed to work in the BJC 150/ 210/ 240/ 250/ 255/ 1000/ 1010 printers. Also fits some Apple, Konica Minolta, Sanyo, and Siemens printers. The use of compatible supplies does not void your printer warranty. Canon BC20 Premium Quality Compatible Black Inkjet Cartridge designed to work in the BJC 2000/ 4000 Series, BJC 5000/ 5100/ 5500, BJC 150/ 210/ 240/ 250/ 255/ 1000/ 1010 and other Canon printers. Also fits some Apple, Brother, Calcomp, Gestetner, IBM, Konica Minolta, Panasonic, Ricoh, Sanyo, Savin, Selex, Siemens, Star, and many other printers. The use of compatible supplies does not void your printer warranty. Apple C3900AA Premium Quality Compatible Black Toner Cartridge designed to work in the LaserWriter Select 350 Series printers. The use of compatible supplies does not void your printer warranty. Apple M2473GA Premium Quality Compatible High Yield Black Toner Cartridge designed to work in the LaserWriter 16/600 PS, Pro 600 Series printers. The use of compatible supplies does not void your printer warranty.